In the US, it’s extremely common for people to walk into a shop asking after “a cup of tea” and then ask for Chamomile, Peppermint, or some blend of flowers and spices. What these customers actually want is a Tisane. Tea : a shrub (Camellia sinensis of the family Theaceae, the tea family) cultivated especially in China, Japan, and the East Indies. Tisane: an infusion (as of dried herbs) used as a beverage or for medicinal effects. When I was growing up, I learned from colloquial usage that “tea” meant something like, “an aromatic beverage prepared from various plants by infusion with boiling water”. What I didn’t realize is that there is actually one plant (Camellia Sinensis) which is actually “tea”, and everything else is, technically, a “tisane”. This topic has been covered in many places, and while it sounds like mere snobbery at first (and it can be! ), I think that making the distinction between tea and tisane is more important than it appears for two reasons. Firstly, true tea has a poor reputation for taste in the West and having accurate terminology makes it much easier for vendors to identify their product. Think how confusing it would be if people said, “wine” when they were referring to grapefruit juice. Perhaps that’s hyperbole but I think it’s pretty close to the truth. If you have a chance to drink a cup of tulsi-peppermint-licorice tisane and a cup of Si Ji Chun oolong side-by-side I think the difference will be dramatic. Both are delicious; but they have very unique qualities. Secondly, there is the matter of health. If, while traveling to India or China, some poor traveler orders tea and then specifies a “caffeine-free” version, they are likely to be met with only confusion. Tea (even decaffeinated tea) always contains some caffeine, just as chocolate always does. Wanting a caffeine-free chocolate, the wise consider something else, like carob (which we usually don’t call “chocolate”, despite its similar properties). Conversely, there are several herbs which have known medicinal properties, but the healing properties of actual tea are much less specific and are still being studied. So why do we like to use the terms interchangeably, particularly in US culture? I’m not really sure, but I think some of it began with the experience of the American colonies during the Revolutionary War. 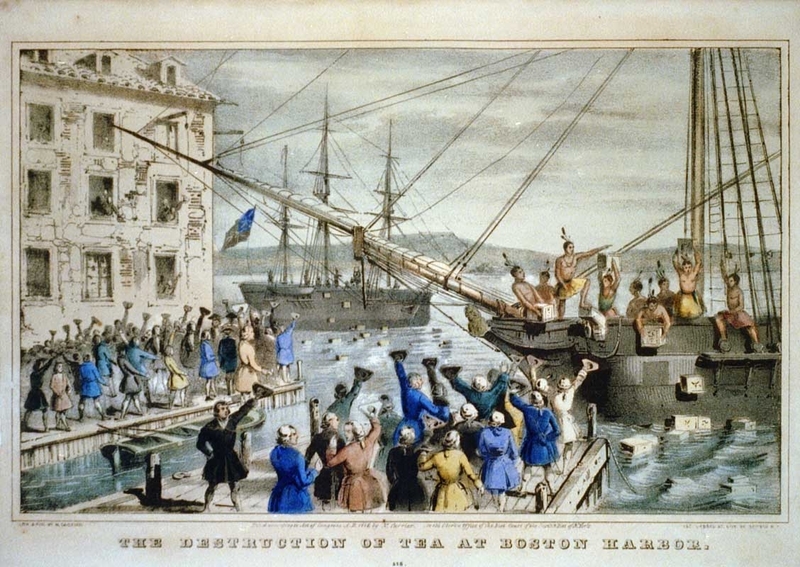 During that time, tea (actual tea) was a major staple of many people on both sides of the Atlantic, and taxation of its importation was symbolic of the control levied by England over the colonial citizens. The colonists were strongly inclined to find a substitute, and so invented what they called “freedom tea”, or “herbal tea”, which contained no tea but could be sourced locally without import fees. I believe that from that point onward the idea of “tea” and “herbal tea” became so conflated that each subsequent generation lost the ability to tell the difference. In today’s quantity-over-quality global market, however, the heavy manual labor and precise skill required to produce real quality tea leaves is fading from disuse. Fortunately for us, there is a small revolution in artisan tea production that is slowly catching on. Companies like Camellia Sinensis, Stone Leaf Tea, Red Blossom, Song Tea, and White2Tea (just to name a few) are importing real quality leaf with a focus on education and tradition. Groups like Global Tea Hut are working to improve the tea market for organic farming and appropriate pay for artisan labor. I believe that keeping our terms straight and educating (compassionately) those who are uncertain is one of the best ways to honor this burgeoning movement. So, be proud of your Chamomile! Enjoy your Rooibos! Slurp Yerba Mate by the gourd-full! But when the leaves of the Tea plant make their way to your cup, remember all the history that they represent and honor those who struggled against a global industry to bring them to you. This entry was posted in Processing and tagged caffeine, tisane on April 20, 2015 by payton. Just a short post to mention a link I stumbled upon today. This page by Bana Tea has some really great Puer tea videos. I’m amazed I never encountered them before. I learned the terms Táidì Chá Yuán (Terraced Tea Garden – plantation-style puer) and Gŭ Chá Yuán (Old Tea Garden – wild tree puer). 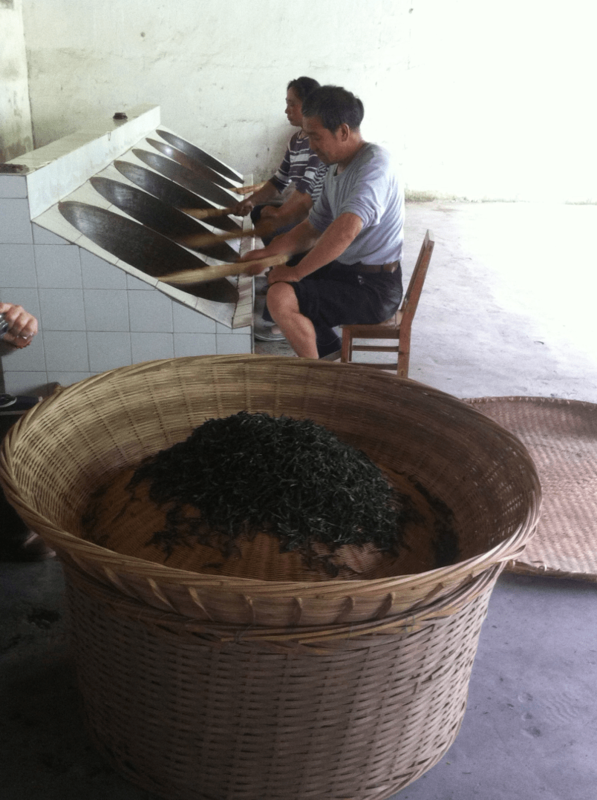 If you’ve ever wanted to see Puer being made, this is a very good resource. This entry was posted in Processing and tagged puer, sheng, yunnan on November 3, 2014 by payton. When working at the teahouse, this was one of most frequent ways I found that people got confused. They would ask for a “red tea”, but not really have any idea what that was, or they would order a Chinese black tea and then ask for something else because it was too light a flavor. Suffice to say that this topic needs a little clarification. Let’s start with the basics. As you all probably know from reading these posts, the six categories of tea mainly differ by oxidation, but each category is so broad that it really does a disservice to group them all together. 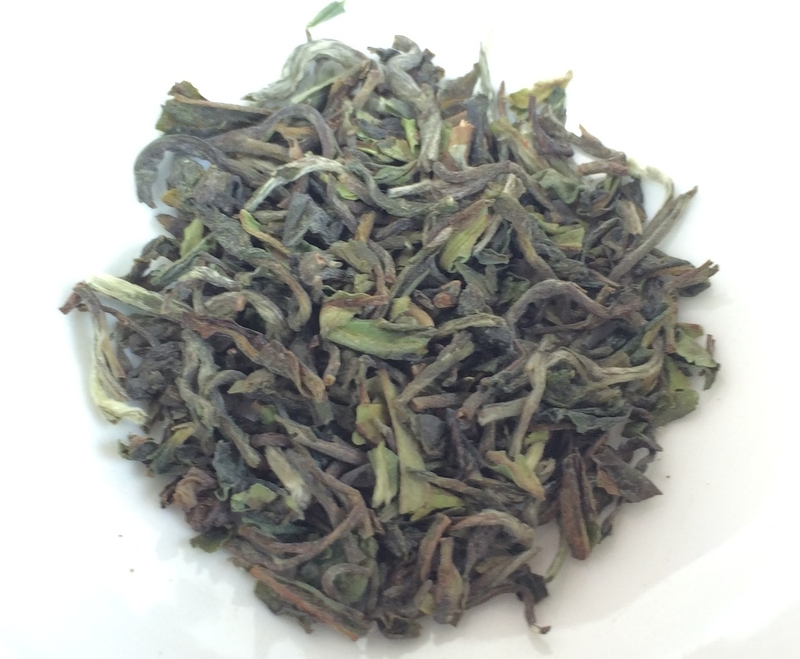 “Oolong”, for example. The kind of oolong you get in a Chinese restaurant is very different from a Yan Cha, which in turn is an extremely different experience from a High Mountain Dong Ding. It’s nearly impossible to pin down the general qualities of Hei Cha, and for people who like “green tea”, do you mean you like the bright salty energy of a Kabusecha or the sweet buttery notes of a Bi Lo Chun? Black tea is no different. And as Tea Drunk’s menu so clearly explains, this heavily oxidized category is actually called “Red Tea” (Hong Cha) in China. The main difference you’ll find is between black tea made in China or Taiwan (let’s call this “Chinese” style), black tea made in Darjeeling or Nepal (I generally call this “Darjeeling”), and black tea made in Assam, Sri Lanka, Kenya, or basically anywhere else (let’s call this “Assam”). Although all tea production began in China, their concept of black tea is quite a long way from what most westerners are used to. Skillfully made Hong Cha is rich and malty, sweet without any additives. Notes of caramel and chocolate can be found in the aromas of black tea made in Yunnan, Anhui, or the famous Sun Moon Lake region of Taiwan. The color of the liquor is usually a deep ruddy red with a bit of a golden hue and yet clear enough to see the bottom of your cup through the broth. That’s certainly nothing like what you get in a supermarket teabag. In fact, the leaves themselves are sometimes not black at all, but can be gold and silver. There’s many legends surrounding the separation within this category, but I tend to believe that distance and money were the major contributing factors to the development of “English-style tea”. The English quickly became addicted to tea as it filtered in from their trade ships and mysterious Chinese ports. The terminology and categorization problems began right there since it was difficult for well-translated tea processing information to make its way to the tea merchants of London, not to mention the secrecy and tales of the Chinese tea producers. Many of these stories persist even today, like the legend of “monkey picked oolong” and the idea that Puer is some sort of foul health tonic. By the time they managed to grow tea in the Indian colonies, the British were beginning to create their own tea culture: one based on the same leaves, but very different concepts around processing and steeping. Theirs was a culture that to prized the energizing quality of tea over nuance. Tea making involves a lot of manual labor and as time progressed Indian and British tea growers increased their production by sacrificing quality to make the highest quantity possible. This led to the popularization of BOP (Broken Orange Pekoe) and CTC (Crush Tear Curl) and, eventually, the humble tea bag. These teas were nothing like their forebears, infusing so quickly and with so little aroma that it was necessary to brew them quite strong and then add milk, sugar, or citrus to make them palatable. The comparison of a Hong Cha to these inky black infusions is not unlike the difference between artisan coffee and what you’ll find in a city diner. Of course, not all black tea produced in Indian soil is low grade, just the huge quantities that made it to the English and Indian citizenry in the first hundred years of its production. Many gardens in Assam and Nilgiri (as well as later production in Sri Lanka) care deeply for their leaves and can make a delicious full-leaf SFTFGOP that is enjoyed by many world-wide. As labor prices have risen, the production of low-grade tea for bags has moved to Africa, but the product is nearly the same. In the lofty gardens of Darjeeling (and neighboring Nepal), however, a truly unique tea was being created. Darjeeling tea has some of the characteristics of a red wine. In a well-made cup you can taste raisins and dates, plums and chocolate. If brewed well, there’s no hint of bitterness, and if freshly picked the energy is unparalleled. The first and second harvest (or “flush”) of Darjeelings command a high price indeed, from antiquity until modern day, and even today it’s common for companies to use the name just to make broken leaf tea bags sell better. What all this should tell you is that when buying an unfamiliar “black tea”, be sure to do some research to know what you’re getting. And if you’re surprised by the taste, experiment with how you make it. Despite the size of the leaves or the pedigree, any tea can be a delicious experience if skillfully prepared, but it might not be what you’re expecting! 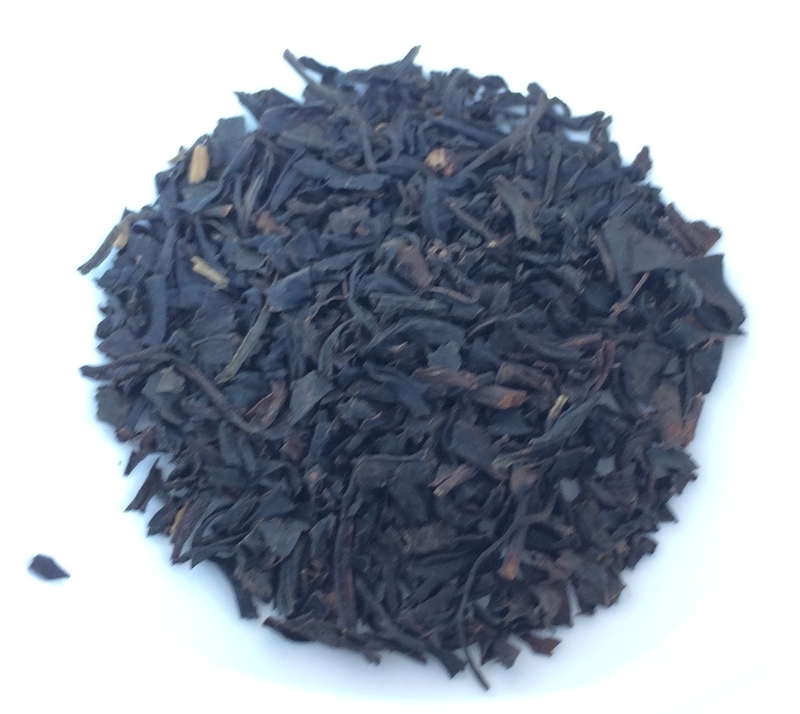 This entry was posted in Processing and tagged black tea, history, hong cha, indian on July 30, 2014 by payton. Today I was drinking a cup of Darjeeling tea, from a bag as must be done at some point or other in one’s life, and thinking about the emphatic monogram, “The Champagne of Tea” that is printed on the package. I realized that much of the Western world is probably just as confused by that label as I once was. I remember as a younger tea drinker, sipping a recently steeped mug of Darjeeling tea and reading the eponomous phrase, and thinking, “this tastes just like a regular black tea. Why do they make it sound like something special? Maybe my taste buds just aren’t up to the task. I better pretend it’s mind blowing.” And so I would smile and thank my host, exclaiming how much better this cup was than the “regular” tea I usually had, wondering secretly if I was just never cut out to drink tea. It turns out that my instinct was right. In most big company tea bags, there really isn’t a lot of difference in flavor between an Assam, an English Breakfast, or a Darjeeling. Oh sure, the base leaves are from different locations (maybe, although it’s likely they are all from Africa) but nearly all bagged tea is the dregs of the harvest anyway, and all of it ends up being bold, tannic, and blunt. It’s no wonder the Western world loves their sugar and cream. I’ve since learned a few things about Darjeeling tea. There is a reason why it once earned the “Champagne” moniker, and why its most valuable harvests can sometimes fetch a thousand dollars a kilogram. First it’s worth mentioning what kind of tea leaves we’re talking about. Darjeeling gardens grow hybrids that are mostly Camellia Sinensis Sinensis, that is, Chinese tea. When the British first managed to steal the secret of tea growing from the Chinese (a feat of espionage rarely seen since), they planted their tea seeds in the Darjeeling region and began growing tea in a manner similar to the techniques learned from the Middle Country. The results were sweet flavors, golden tips, and a heady aroma that’s often compared to wine. It wasn’t until many years later that the British (and the Indian population after them) gained an appreciation for the stronger, more bold flavors of Camellia Sinensis Assamica, the tea native to the Indian subcontinent. The other big factor that goes into the most sought-after Darjeeling tea is the harvest. You may have heard of a “First Flush”. Seek it out! The first flush, or first harvest of the year holds the nutrients and energy that the tea plant has been storing all winter long and has finally released to create this cup of tea for you. The second flush (a summer harvest) can be quite tasty as well, but a really classy First Flush Darjeeling is a life experience. To be fair, all the qualities that make a delicious Darjeeling are the same that go into any good tea, but Darjeeling has the unique position, historically speaking, of being grown and produced by a culture more familiar to the West. This made it much more accessible to the Western aristocracy and the original harvests probably blew the minds of the lucky people who drank it. A first flush should be a flaxen gold in the cup, have the aroma of sweet white grapes (this is often called “muscatel”), and the taste should be mellow and rich, energizing the mind and body. The strength is such that a few cups will have you flying, but without any acidic bite. If you were to add milk or sugar to such a tea, you would taste nothing but the milk and sugar, but it has a potency that rivals a bitter black tea. “But wait,” you say, “how can a black tea be light yellow? It sounds like you’re describing some sort of green tea!” Well, you’re not entirely wrong. When harvesting First and Second flush Darjeeling, in order to keep the leaves from oxidizing too quickly, they are quickly dried during their processing. This dryness deactivates many of the enzymes that cause oxidation, but not all of them, making First Flush maybe something of an oolong (partially oxidized) tea. 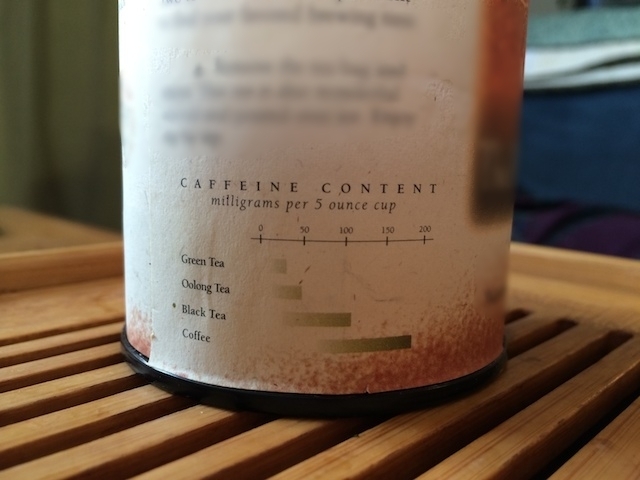 That’s not quite right, though, since it has none of the rolling steps common to oolongs. So if not a black tea, and not an oolong, and not a green tea, what is it? Let’s just say that the six categories of tea are not all-encompassing and call it a Darjeeling. Of course, due to its unique nature, care must be used when brewing a quality Darjeeling tea. Only twenty seconds too much steeping time, and bitterness can overwhelm even the best harvest. Twenty seconds too short can serve you a cup of flavored water. Getting the right taste requires experimentation and attention, and above all, fresh leaves! So the next time you try a “special” bagged tea and think, “what’s so special about this?”, remember that legends are always based on reality, and the real thing exists out there somewhere, if you’re willing to look. This entry was posted in Processing and tagged assam, darjeeling, indian on April 7, 2014 by payton. Of all the many, many (read: too many) teas I brought back from Taiwan, the most eloquent was a small unlabeled pouch of rolled oolong carefully hand-roasted by a man in Lùgǔ (鹿谷鄉). As I’ve just sipped the last of that fine vintage, I thought I might tell you the story of where I found it. Perhaps I should first explain why I think this tea is so special. Certainly it has all the qualities of a first class tea, from its smooth mouth-feel to the blissful aroma of sweet roasted chestnut as the liquor engulfs my senses. Yet those mundane aspects are only one level of the intrigue at play here. What really draws me to this tea is a characteristic that is difficult to put into words. Some people call this Cha Qi (茶氣). It’s something like the energy of the tea. Some tea tastes great or has a very interesting aroma, but after drinking it I feel unsettled. A tea which leaves me feeling at peace in mind and body is a tea which I consider to have good Cha Qi, and it is a rare thing indeed. This tea has Cha Qi in abundance, and I wonder what it must take to craft such magic from plants. If you’d like to read more about this elusive quality, Stéphane has a good discussion on his blog and TeaChat has one as well, but you’ll probably have to experience it for yourself. These fine leaves originated in Nántóu (南投縣), the only land-locked county on the whole island. While Taiwan is generally an easy place to navigate with English, smaller regions like Nántóu can make life a little more interesting. As we got off the bus in front of the Lùgǔ 7-11 (they’re everywhere in Taiwan), there was some confusion about our bus tickets. In order to exit the bus, you had to hand your ticket to the driver to prove you had paid for that leg of the journey, but one member of our group had already misplaced his ticket. In the ensuing chaos, we met a very nice woman getting off at the same stop who helped us communicate to the bus driver and resolve the situation. We only knew of one person in the town, a man who worked at the renowned Lùgǔ Farmer’s Association, but we weren’t sure where we might be able to stay. Fortunately the nice woman at the bus stop (whose English was excellent) led us to a sort of bed-and-breakfast she knew across the street. Apparently the building was also attached to some sort of school for children where she taught art classes. And of course, like many people in Lùgǔ, the owners of the house were involved with tea production. A good place to stay if you’re ever in Lugu. 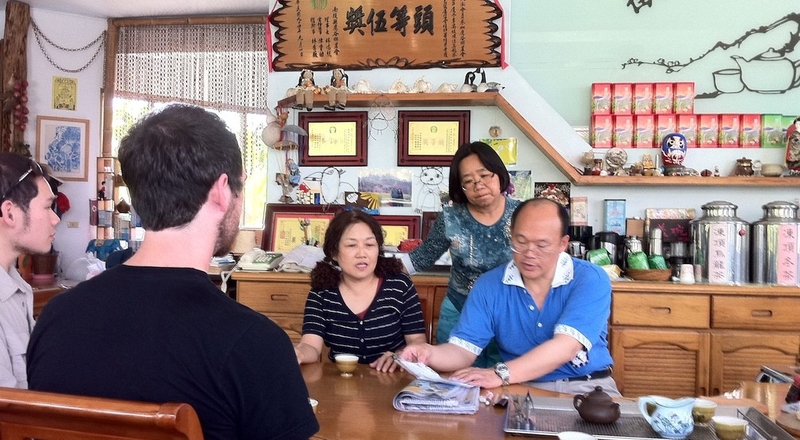 We immediately started exploring the small and friendly town and learning about its vibrant tea culture. In the last few decades that culture had been in decline until the Farmer’s Association was created to preserve the traditions of the growers, pickers, and craftsmen of the region. At one point we browsed a small tea exhibit at the town hall and the employees there took a keen interest in us. I think that having Americans touring their town was quite a rare thing. Since they didn’t speak much English and our Mandarin was non-existent, they called up someone they assured us could help. As good luck would have it, our friend from the Farmer’s Association walked in the door! He had a busy schedule but told us a little about the town and then promised that he could make more time to chat if we could wait until the following day. Not wanting to take advantage of his kindness, we agreed to spend the rest of the day wandering on our own. Our tea friend and translator. After another hour had passed we found a very interesting shop on the far side of the town. Being able to tell the difference between a shop and someone’s home is often very difficult in Taiwan; they’re frequently one and the same. This place was run solely by a very kind man who clearly knew about tea (his home-made tea station was something to behold) but whose primary activity appeared to be brush painting. He spoke not a word of English, but we sat and enjoyed tea with him just the same, jovially munching on sunflower seeds and observing the varied paintings that surrounded us. As we were preparing to leave, we wanted very much to purchase some of his really excellent tea but at that point our ability to communicate without words completely broke down, so the painter called someone up on the phone. We figured that he knew someone who spoke English and could translate for us. Imagine our surprise when our Farmer’s Association friend again walked in the door. Apparently he was the one to call if you needed to talk to foreigners, but we felt very guilty for disturbing his work twice in one day. It turns out that the painter did not actually produce any tea, but would purchase mostly-finished tea leaves from the farmers and then roast it himself in a large electrically-heated bamboo basket: quite an art in and of itself. It was very much an education on the amazing effect that a carefully executed roast can have on a tea leaf. Of course the base tea needs to be of a high quality as well, but by roasting the leaves just enough to engage their mouth-watering fragrance without burning anything, the master of roasting can transform a good tea into an outstanding tea. I have cherished my small bag of “Painter’s Roast” ever since and I hope someday to return to Lùgǔ to pay my respects to that master (and, of course, to get some more tea!). 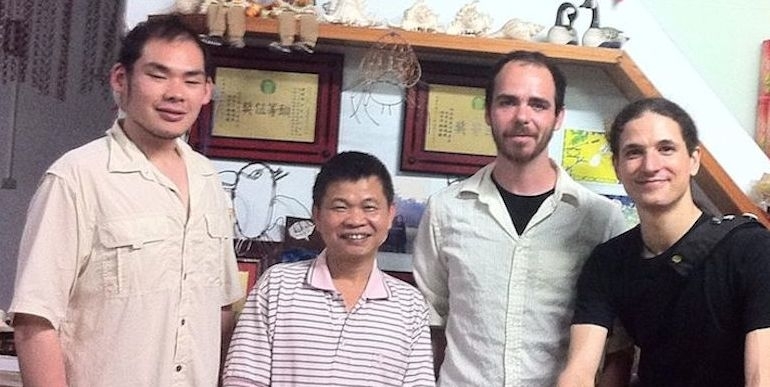 This entry was posted in Processing, Tastings, Travel and tagged cha qi, lugu, oolong, roasting, stories, taiwan, tea processing on March 4, 2014 by payton. The six styles of tea would not be complete without the oft-misunderstood category called Puer (also Pu’er, Pu’erh, or Pu-er, but always 普洱). Just like White Tea, Green Tea, Black Tea, Oolong Tea, and Yellow Tea, there is also Puer Tea. Simply put, it is intentionally aged tea, but that description does it a disservice. The aging process has many nuances and cannot be used with just any leaf. It is a whole style of tea into itself and therefore, even though there are similarities, one can find quite a lot of variation between the tastes of one puer and another. In China, Puer (普洱茶) is a regional appellation restricted (at least officially) to the region of southern Yunnan province near the border of Myanmar and Laos. If you get right down to it, It is actually a sub-category of the style of tea known as “dark tea” or Hei Cha (黑茶) which is any tea that has gone through a “post fermentation” process (a heavily misunderstood term on which I will elaborate below). Hei Cha is rarely discussed outside of China, however, as the popularity of Puer has far eclipsed the few other styles of Hei Cha that exist (Liu Bao, for example) just as the popularity of Champagne in the West has all but replaced discussion of “Sparkling Wine”, even though Champagne is only one region that produces that beverage. “Post fermentation” is a difficult term to pin down. The real difference between Puer and its cousins is the aging process of the leaves. It is the only style of tea that gets better as it gets older (assuming ideal storage conditions). 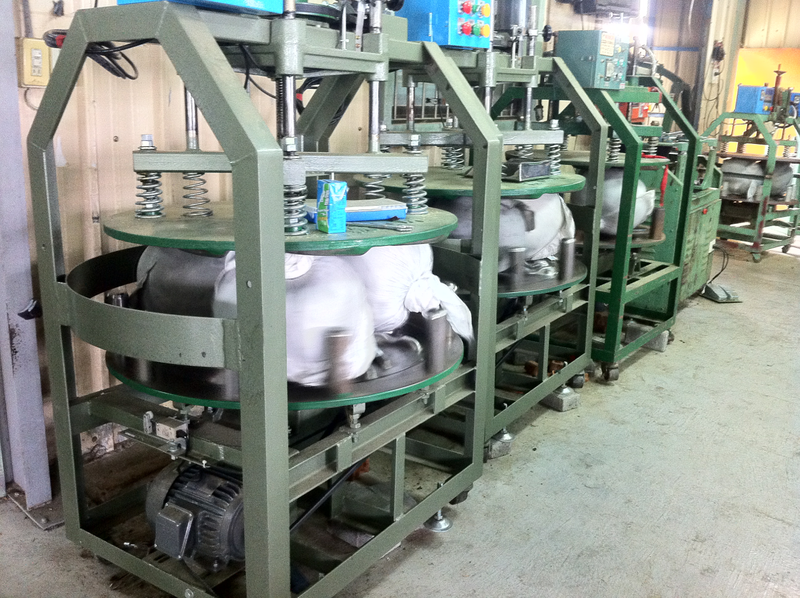 The processing of Puer is actually fairly simple compared to teas such as Taiwanese oolongs. 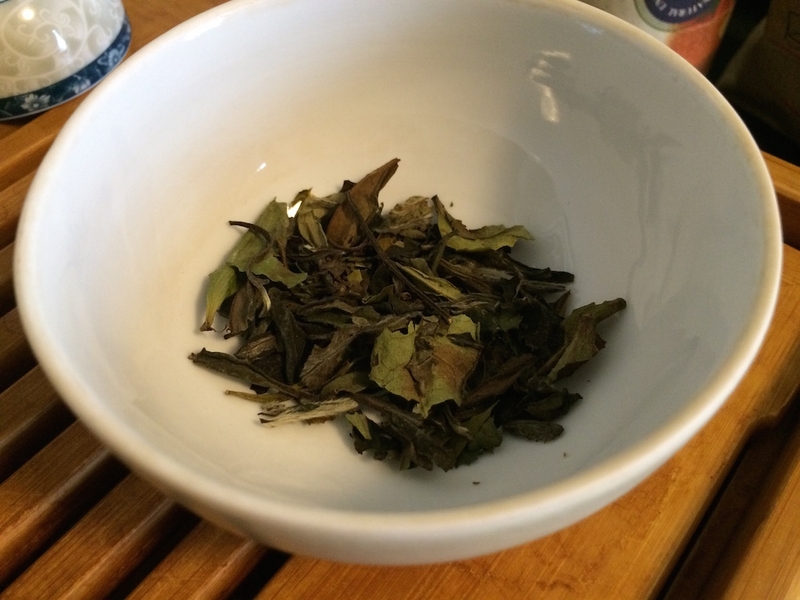 First the leaves are sun-dried and withered, much like the beginning of a White tea. With the help of a short heating process, this “fixes” the leaf, stopping the oxidation process (note that the Chinese always translate tea oxidation as “fermentation”, even though this is an enzymatic reaction). 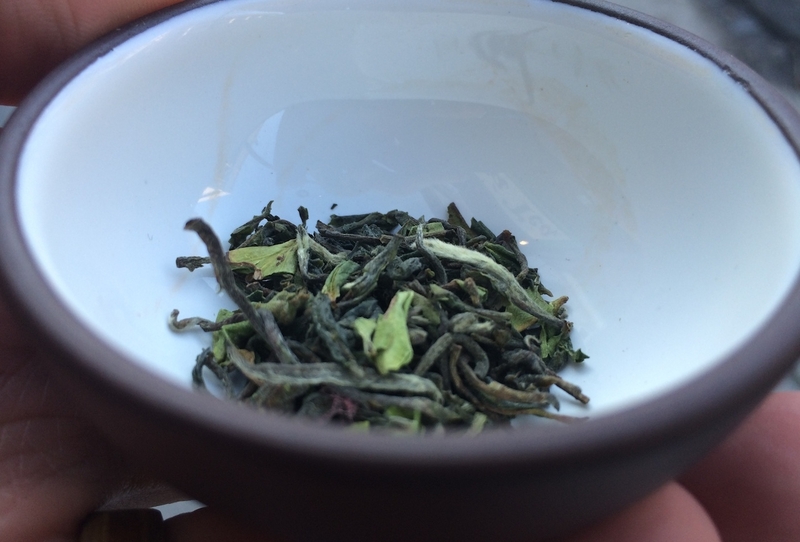 The resulting silver-and-green leaves are called “Mao Cha” (毛茶) and are quite drinkable, infusing much like a Green tea. Pressing Puer the old way. Afterward, the Mao Cha is usually gently steamed, pressed into cakes or bricks, and then aged in dry or slightly humid conditions for a period of time determined by the tea master in that factory. During the aging process, microorganisms change the leaf and transform the cedar-like taste into the typical earthy flavors of a Puer tea, while reducing any sharpness that might be present. Over time (typically 10-30 years) the matured cake can produce a dark and comforting infusion with wonderful aromas. This kind of Puer is called Sheng Cha (生茶 — even if you don’t read Chinese you can see this on the label), meaning “raw tea”. 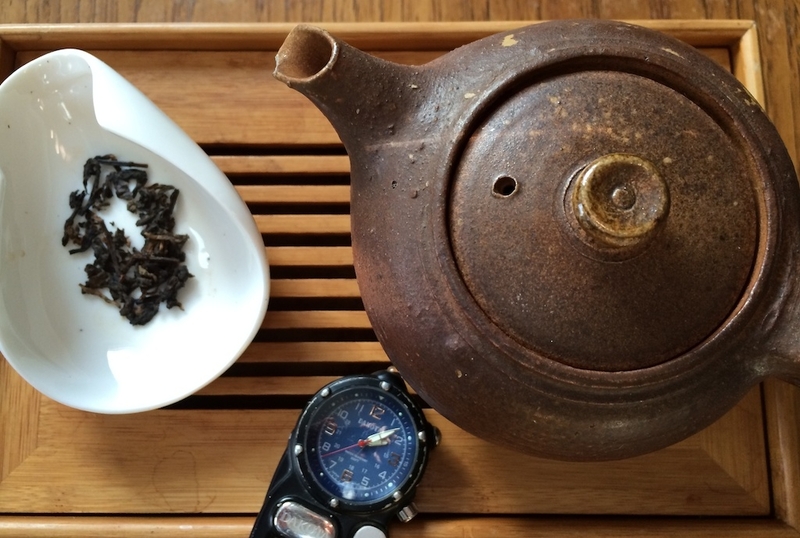 Before the 1970s, Sheng Cha was the only kind of Puer that existed. There was not much of an export market because of how long it took to produce a cake with an ideal flavor. 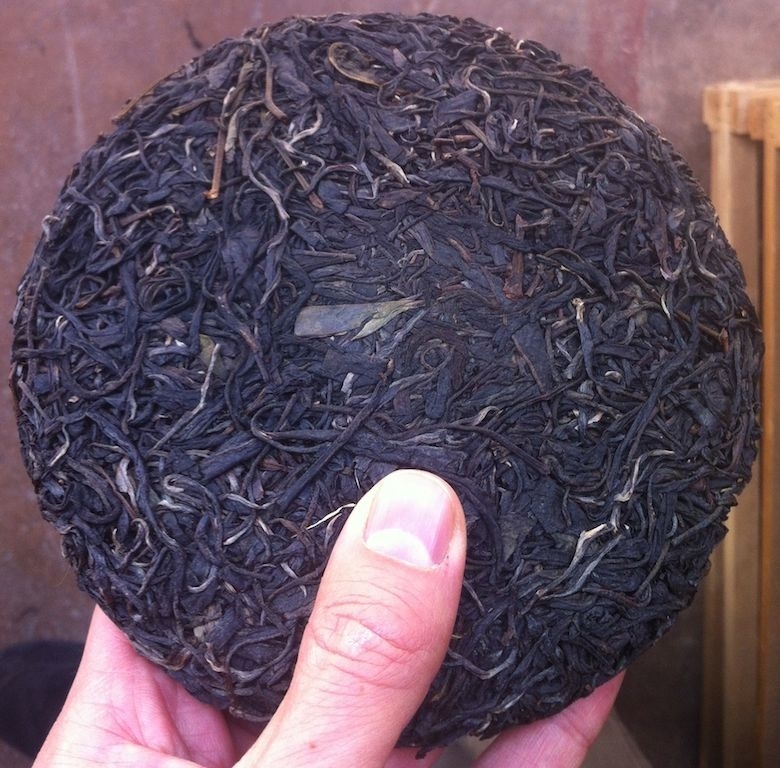 Some young Shengs can be quite delicious, but it is generally thought that Puer should have a few years on it at least. Both of these are actually Sheng! One is just much older. 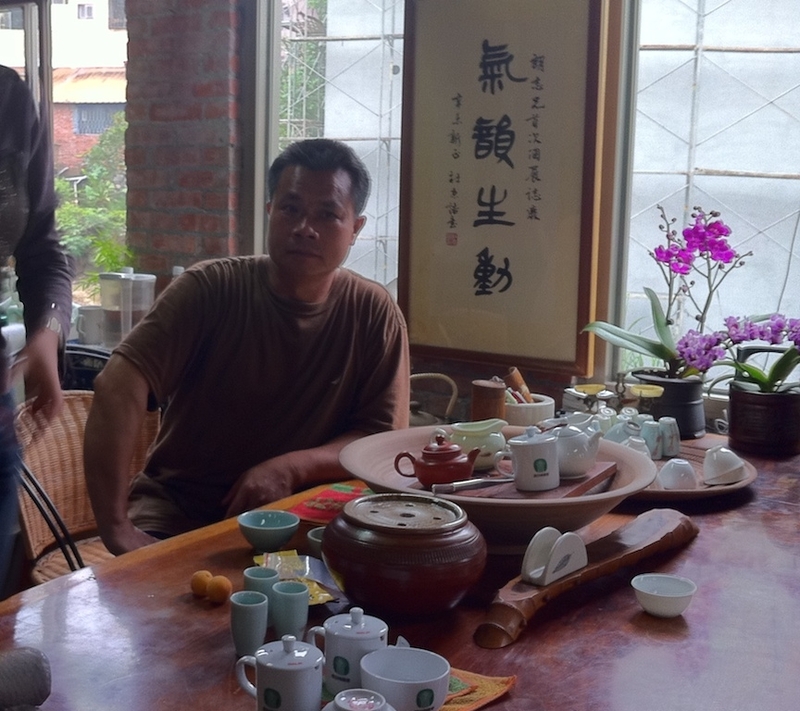 At some point, though, the tea masters of Kunming discovered a process being used in nearby Guangxi province that produced a rich and dark leaf within less than a year of aging. The secret was a damp pile-fermentation much like the process of composting, but very strictly controlled in temperature and humidity to prevent the tea leaves from rotting. The result was bricks of tea that were delicious nearly instantly after production. These teas were dubbed Shou Cha (or Shu Cha, 熟茶) meaning “ripe tea” and the process was quickly replicated in the factories of Yunnan province. 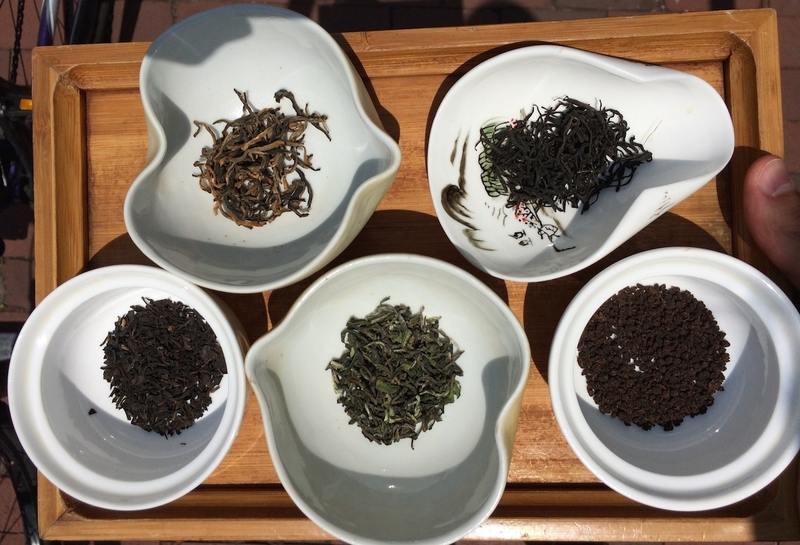 Shou Puer (sometimes mis-translated as “cooked tea”) still improves with age, but has different flavors that are more fresh soil-like than its Sheng counterparts. 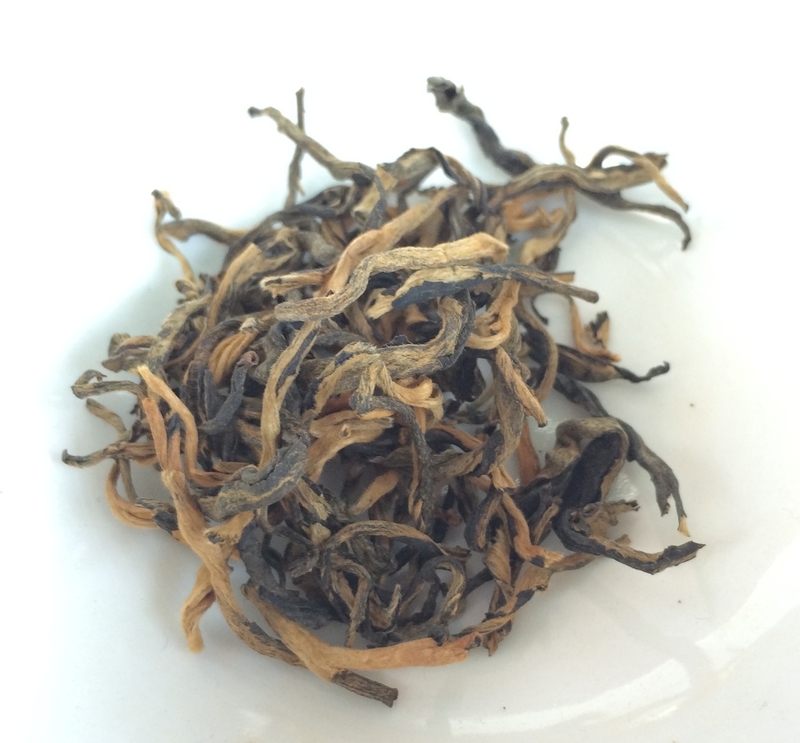 Theoretically, Shou Puer is just an accelerated aging version of the original Sheng style, so it’s possible to mistake an old Sheng for a new Shou. In my experience, however, there actually is a notable difference. Old Sheng (traditionally aged) Puer tends to be more smooth, more fragrant, and more gentle than its Shou counterparts. Of course, there’s plenty of poor tasting Sheng out there as well! The quality of the tea leaves originally used, the factory’s process, and perhaps especially the conditions of the Puer’s storage during its aging process all have significant effects on the final taste for either style. Aside from the wonderful flavors of cedar and fruit that can pervade a well-aged tea cake (or 饼茶, bing cha), another advantage of the Puer leaf is that both types of this tea can be infused many more times than almost any other tea in existence. 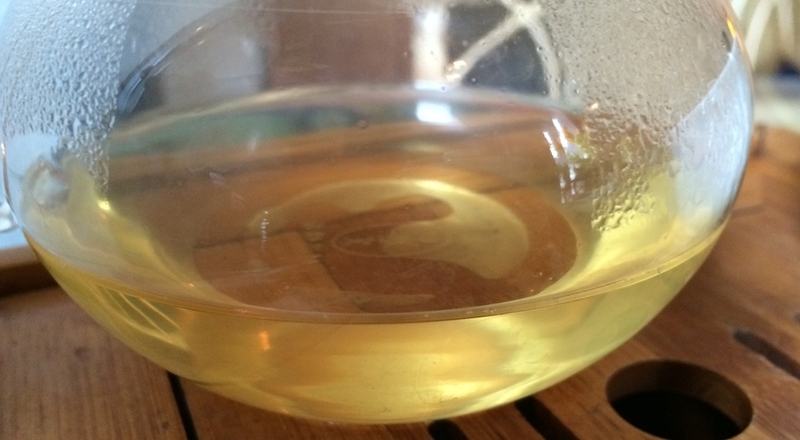 One chunk of good Shou Puer can make 15-20 infusions before losing its flavors. If you haven’t ever tried a Puer, they’re much easier to find than they used to be, but be aware that the mass-market loose Shou Puer you may find in a coffee shop or a grocery store is going to be a far cry from what you can find online. 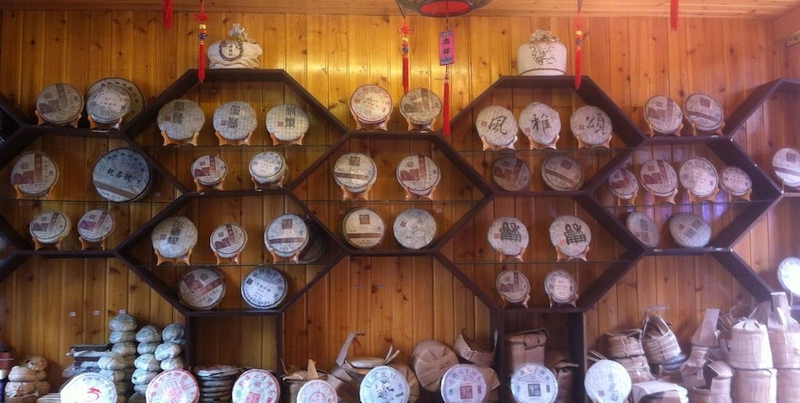 The internet has brought out many reputable dealers of fine Puer tea, and many of them will allow you to buy a sample of a cake before committing the whole thing. And if you find a good Puer, don’t worry about ordering too much; remember, it only gets better. This entry was posted in Processing and tagged aged, china, puer, tea processing, yunnan on January 17, 2014 by payton. 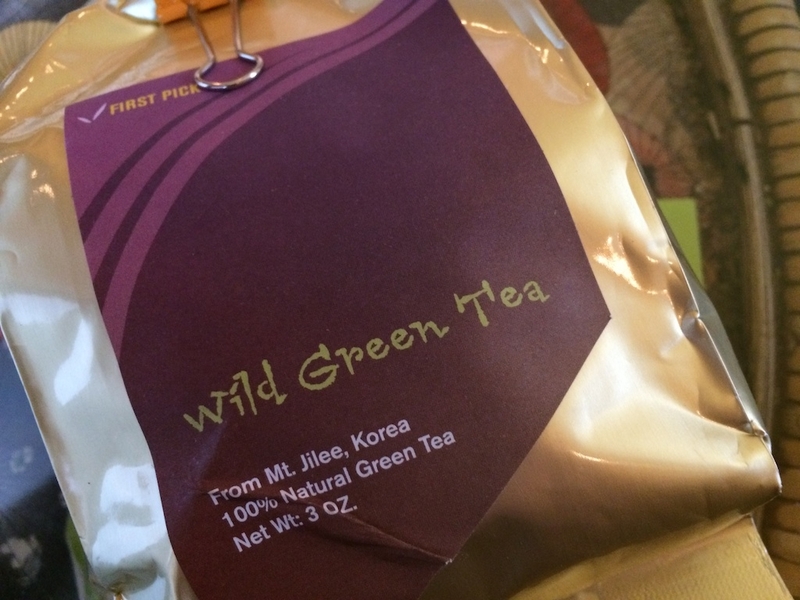 This Christmas I received a surprising present: a package of the Korean First Pick Wild Green tea that I mentioned in my earlier post about Franchia, the tea house in New York City. Definitely a great opportunity to expand my knowledge of Korean greens. Today I had my first try. Our Korean Wild Green Tea comes from the rocky slopes of Mt. Jilee and is 100% natural. Because it’s not cultivated, the root of our Wild Green Tea draws richer nutrients and minerals from almost 60 feet deep. The region’s colder climate (even in summer) and drastic temperature difference between day and night produces tea leaves stronger in “chi” or “energy.” Moreover, what differentiates Franchia Wild Green Tea from other green teas is our completely natural production process from growing in the wild to being harvested by hand to our unique processing method. The site shows that the unique processing method is an immediate wok-firing, followed by hand-shaping (to bring out the oils and enzymes in the leaf), resting and drying, another wok-firing in an iron wok, more resting and drying, and finally a gentle roasting step in a steel pot. That last step is definitely unique, as when making tea in China a final roast (which tends to bring out the leaf’s aromas) is generally only applied to oolong tea. I’m not certain if these steps are common for Korean tea or just this factory, but there is definitely a notable effect. The liquor was light blond with the aroma of green bark after a spring rain. So much for my impression of the dull leaves! When they got wet, they took on a bright green glow. I think that the matte leaf appearance must just be a characteristic of Korean tea, perhaps due to the final roasting process. 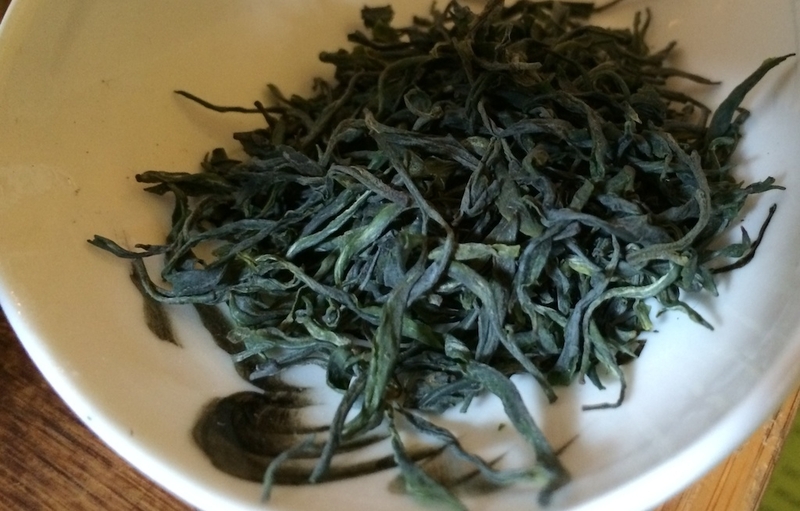 As I mentioned in previous posts, I’m only familiar with one Korean green: the Nok Cha from Dobra Tea. That tea is milky smooth and rich with a bit of saltiness. The taste of this Wild Green reminded me more of Japanese Gyokuro than Nok Cha, and yet not as smooth or creamy as either. I want to say it was oceanic, but for me that usually means hints of seaweed and salt water and I detected neither in this brew. It had the tasty quality of bean sprouts, snap peas, or kale: a sort of woody sweetness that pervades the mouth and coats the tongue. 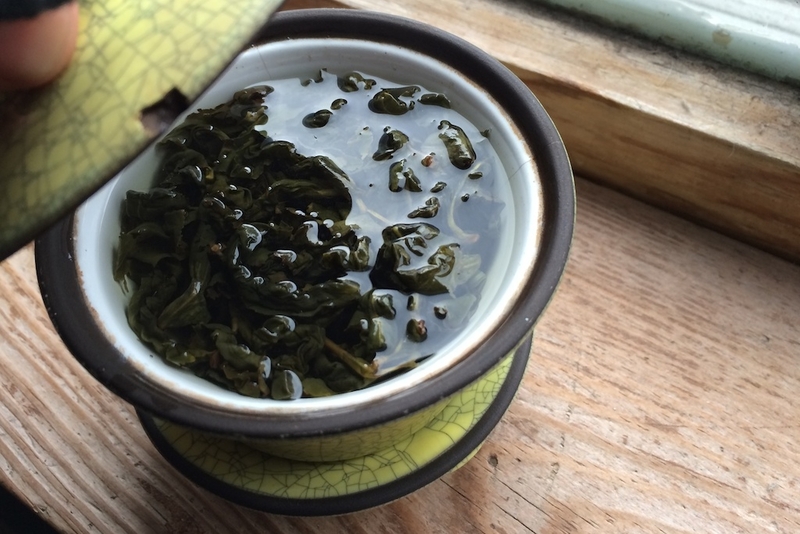 Like a bowl of Matcha or the best Li Shan, it slowly seeps into the body and mind for a good minute after drinking. A soothing experience to be sure. I look forward to trying and experimenting more with this tea. From my first leaves I managed to get about 4 great infusions with about the same time and temperature. That’s a good record to start with, for a green tea. Well done, Franchia. This entry was posted in Processing, Tastings and tagged green tea, korean tea on December 31, 2013 by payton. Back in the old days I wrote a post on Dobra Tea’s blog about caffeine. This is an updated version of that post. 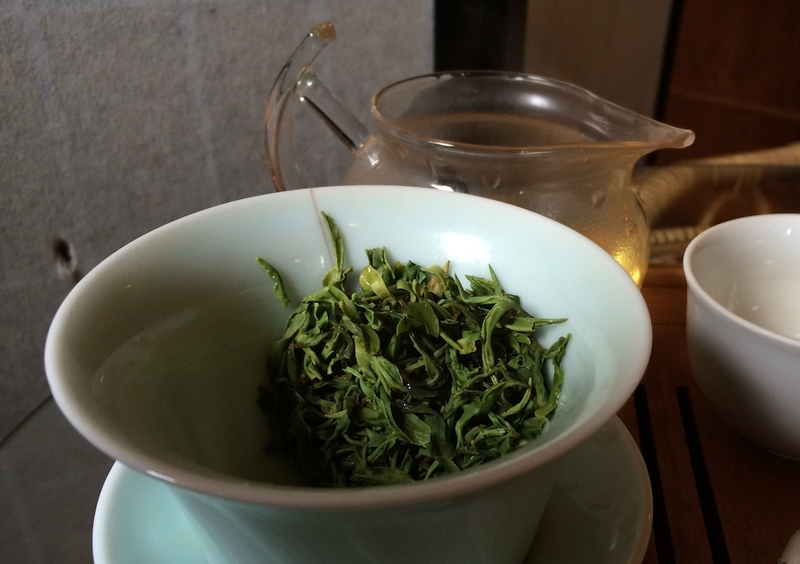 The myth of green tea having less caffeine than black tea is rampant in our Western culture. This is even more surprising when contrasted with the attitude I found in Taiwan that drinking a fresh green tea late at night is much more likely to raise your energy level to the point of sleeplessness. There is a very complex series of factors that go into the amount of caffeine in a cup. Soil, terroir, sunlight, leaf size, tippiness of a tea, age, roast, and infusion temperature all come in to play. Oxidation, though, is never really a factor. This means that all types of tea (green, white, yellow, oolong, black, and puer) have roughly the same amount of caffeine by weight. That’s quite a bold statement when even the tea industry itself tends to print labels showing green tea as low in caffeine. So how do we know what makes a cup of tea with higher or lower caffeine, because surely there are differences? There’s a few easy answers, and some more complicated ones. Certainly a longer infusion time means a stronger tea. I suspect that the “green tea has less caffeine than black tea” myth has appeared because people often steep green tea for less time. There’s some great research in Tea: History, Terroirs, Varieties that shows the levels of caffeine in different styles of tea with the same steep time. It’s not surprising that they’re nearly all the same. While infusing tea for a shorter time will decrease its caffeine levels, the quality of the leaf also matters greatly. A full-leaf, unbroken green tea is going to release its alkaloids much more slowly than a roughly-treated broken tea (such as you might find in a tea bag). There’s a lot more surface area on smaller leaf chunks in contact with water. As a result, broken leaves or even lower-quality “dust and fannings” will usually make a cup of tea that is blunt and bitter as well as much more caffeinated than its full-leaf brothers. Finally (and I’m really just barely scratching the surface here), there are many other compounds within the tea leaf that contribute to how it affects the body. Tea leaves are one of the only sources of the amino acid Theanine which reduces stress on the body, making even many average 30mg-of-Caffeine cups of tea quite a different physical experience than the average 150mg-of-Caffeine cup of coffee. Looking at caffeine content alone is not sufficient to determine the physical effects of any beverage. So the next time you’d like to decrease your caffeine intake, try a roasted oolong, an aged puer, or a tea with very few tips. Try to steep your favorite tea for much less time. Even better, as your body is unique, research and experiment with different teas and find what is true for you. This entry was posted in Method, Processing and tagged caffeine on November 24, 2013 by payton. 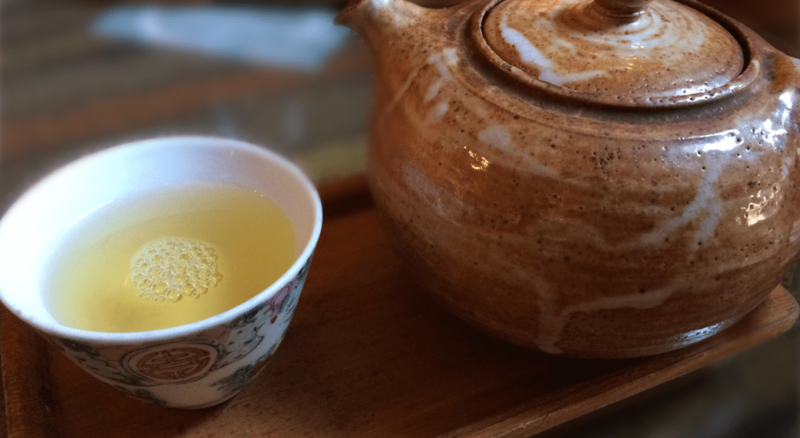 Back in the old days I wrote a post on Dobra Tea’s blog about tea and oxidation. This is an updated version of that post. If you have learned a little about tea processing, you have doubtless come across the saying that Black tea is more “fermented” than Green tea. This is more than a little inaccurate, as you’ll see below. 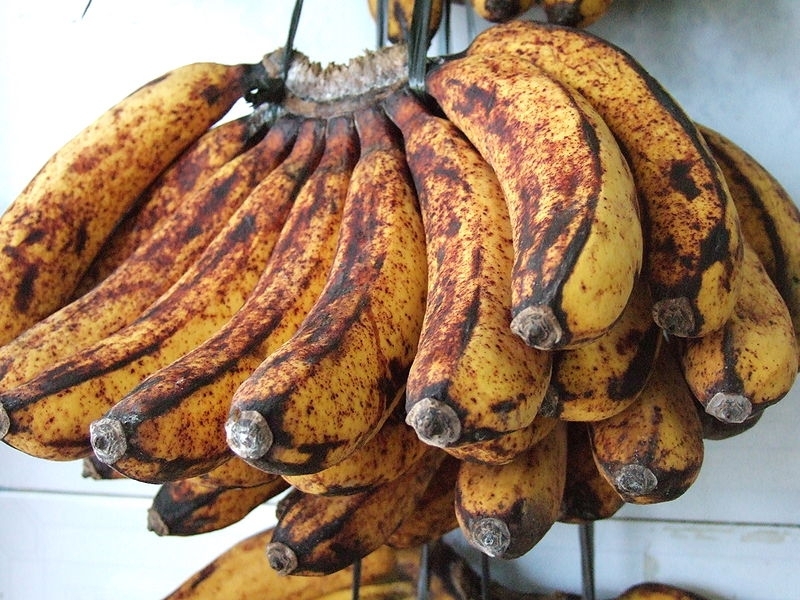 When an apple or banana is cut open, its inside surface is generally white. Once exposed to air, however, the interior begins to change to brown and eventually black. The flavor of the fruit changes as well. This process is an enzymatic reaction called Oxidation. Many plants experience this darkening when parts of their cells are exposed to oxygen, including tea leaves. When a tea leaf is bruised during the rolling process, the contact of the polyphenol oxidase in the cells of the leaf with other parts of the leaf’s chemistry begins a browning process. This process changes the leaf from what we know as Green Tea to what we call Oolong Tea, and eventually to Black (or, as the Chinese call it, Red) tea. Gently rolling oolong tea to encourage oxidation. San Lin Shi, Taiwan. When an apple is cut, there are several options we can use to stop its oxidation and retain its white color and fresh flavor. Applesauce, for example, does not turn black. This is because when heat is applied, it deactivates the enzymes necessary for the reaction to continue. This principle was discovered by early tea producers and used to stabilize or “fix” the tea leaf at a desired stage of oxidation. For green tea, the leaf is heated almost immediately and no oxidation occurs. The Chinese call this heating process “kill green” (Shāqīng, 殺青). When this technique was developed, tea producers didn’t understand the mechanism involved and it was assumed that the browning process was a form of fermentation. Even though scientific understanding has progressed in the thousands of years since, this term has remained in use and is still be quoted by many people in the tea industry, particularly in China. Stopping the oxidation in Liu’An, Anhui. Fermentation in Chinese is Fāxiào (發酵). Oxidation in Chinese is Yǎnghuà (氧化). Because it has become an industry term in its own right, Chinese articles discussing tea will use the term fāxiào, causing confusion for many Westerners. Making this more complicated is the actual bacterial fermentation involved in Puer tea, but that is another topic entirely. So, to summarize, Green tea is less oxidized than Black tea, and neither are fermented. In addition, oxidation has basically no effect on the caffeine molecule, so green tea is likely to have roughly the same amount of caffeine per cup as a similarly infused black tea (but that is also a different article). This entry was posted in Processing and tagged science, tea, tea processing on September 21, 2013 by payton.